Though she was attacked on Twitter with harsh words by a netizen on Monday but Sushma Swaraj responded by offering to help that person. 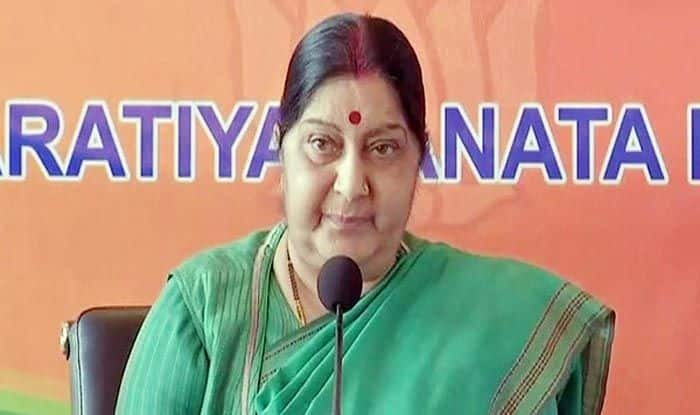 New Delhi: A netizen blurted out harsh words for Sushma Swaraj on Twitter, however, the External Affairs Minister was all help to that person. Swaraj also tagged a tweet by her additional private secretary in which that person was told that he applied for a normal passport on March 13 without proper address proof and he submitted the address proof on March 20. “The PSK Andheri sent the application for police verification. The police report is awaited,” it said. Later, the tweet by the man and his Twitter account were unavailable. Swaraj has been having Twitter exchanges with users in the last few days over her prefixing ‘chowkidar’ to her name on Twitter account.